I am about to leave on a mission for The Church of Jesus Christ of Latter-day Saints (the Florida Tallahassee Mission) & will be serving in the South where my dad & brother also served missions. I will be serving in Alabama for 18 months. I love being in Utah near most of my 8 children & 16 grandchildren. Since none of them live in Texas anymore, we moved to Utah a year and a half ago. 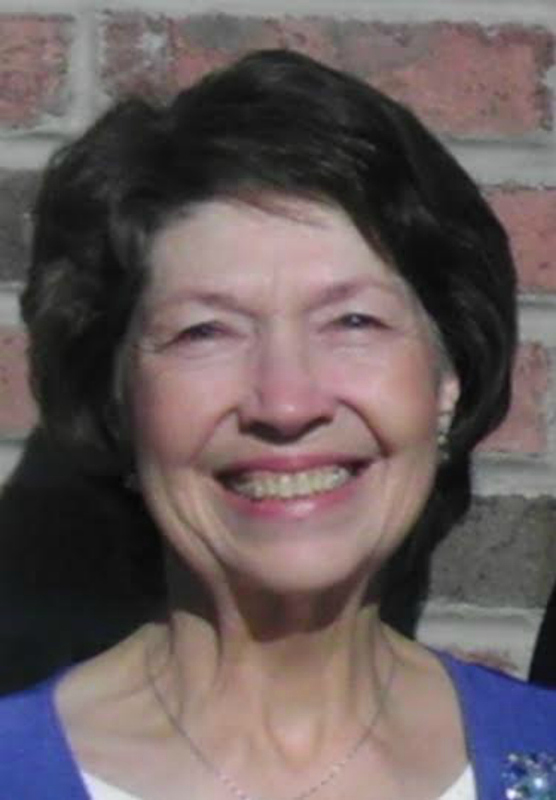 I love church activities, and have been serving in Relief Society & enjoy visiting with the ladies. I’m most proud of my family, but I can’t say it’s my accomplishment because each of them came with their wonderful spirits and personalities, but I’m so happy that all 8 of them have been on missions and the 6 that are married were married in the temple. Seven are college graduates with the youngest on track to graduate in a couple of years. They desire to live with God again, like I do. I’m happy that my husband and I have achieved 47 years of marriage, and we are progressing towards true eternal companionship. Being with my children in the Temple or church, and watching them serve the Lord. Answers to prayer strengthen my faith, because they are specific. The answers come in different ways, but they keep me always believing that they will be heard & answered. 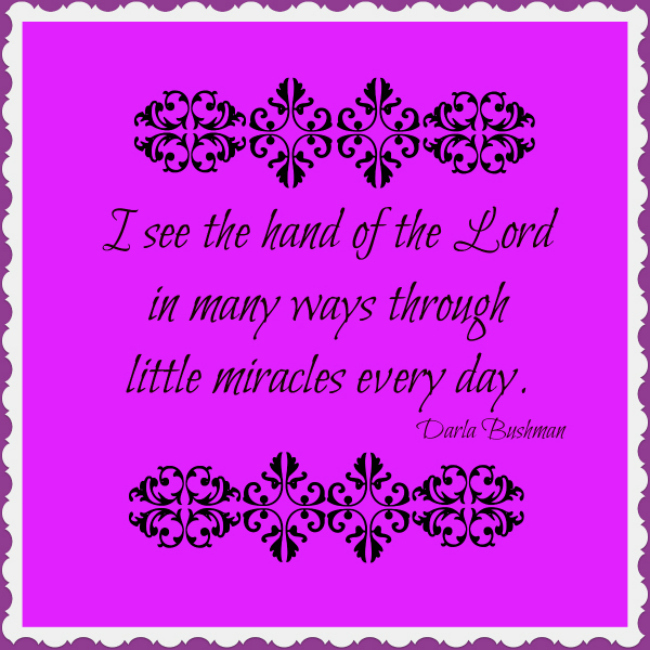 I see little miracles every day, especially as I look back over my life, I can see the hand of the Lord in many ways. I have a gift of believing. I’ve always had a testimony. I’ve always known that Heavenly Father is there and I’ve always wanted to please Him. There’s never been a time in my life that I wanted to be away from church, because I knew what I’d be missing — the approval of Heavenly Father. I knew He expected more of me and I always had a strong desire to be where He was…in what I know is His Church and plan on earth. Many times, it’s from a sweet, warm feeling inside my chest, but sometimes it’s from thoughts that come into my mind that seem to flow & seem to bring me ideas. I often pray in my mind, say “thanks” in my mind, and I just feel guided a lot of times of what to do, so I know it’s an answer to my prayer. I remember when I was 3 years old in Primary and knowing that the Church was true and knowing that Heavenly Father loved me, so I never had to be converted to that. I’ve always felt His Church was true too. But, I’ve grown and developed more understanding–more understanding of how everything fits together & the purpose of life & the purposes of our different experiences. One time I was in a choir singing the Hallelujah Chorus and I just wept because I felt so strongly that Jesus Christ was the King of Kings and Lord of Lords and my Savior! It was just a sweet witness from that music. Reading the scriptures every day. Saying prayers with the family (whoever is here and with my husband) every day. Asking blessings on the food at every meal. I love religious music and play it a lot. I like conference talks (talks by Church leaders) and when we listen to those, they keep me inspired. I’ve given out Book of Mormons to friends. I’ve always wanted to be a missionary, and I’m glad I could serve full time missions in Chile and Texas, and I’m excited to be able to serve in Alabama. 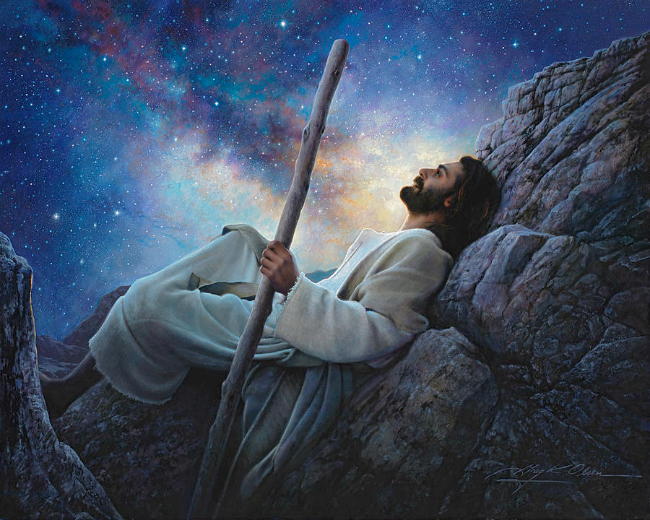 To feel how much their Heavenly Father loves them and wishes their happiness and fulfillment. That they can know that they are worth so much–their worth is infinite. And know how beautiful they each are, each in her own way.